I'm in the same boat. Quality though is great so it'll go on my shelf as a display. Thanks, had this open for a couple of days and fortunately still works today :). So is this £3.99 as stated or £7.98?? Bit of a crappy advertised photo, half the guys head is chopped off. not sure, sorry :( The website says: "All iPhone 4/4s, 5/5s, 6/6Plus and 7/7Plus available.". S it looks like there is no iPhone 6s. I'd ask them just in case. Bit of a late update but anyway. Got the refund then after a week I received an email saying it was dispatched. Contacted them to say I received refund and they said as a gesture of goodwill they were sending the items I'd ordered. When they did arrive they were really nice quality. Hi kha, just seen in my bank that I have received the refund. Thanks. Thanks a lot kha. Will do that. (y) Glad you got your refund. Hey just to let you know they refunded my money. This was after threatening to do a chargeback though. I would wait full 14 days and then give them a call. Thought this was a bargain. Personalised photo mug which is usually around £7 plus delivery cost. 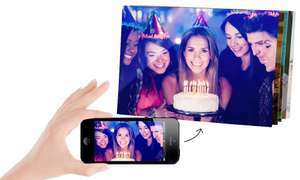 Use code pix to get for £2.78 and free delivery. Anyone else found their delivery to be slow? Definitely not as quick as the likes of Moonpig and Funky Pigeon. is this website really slow, or is it just my network! 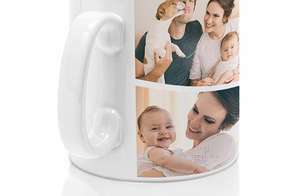 Magic photo mug from Printerpix usually £9.95 but with code EASTER17 you get it for £4.97 with free delivery. You are purchasing a voucher to order the photobook. 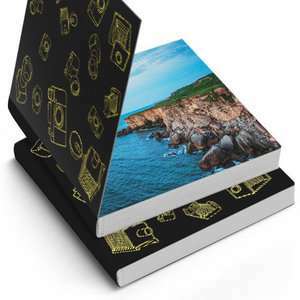 The photobook is a printed book. You upload your photos and create your book online and they print it for you and send you the book. Hope I've explained myself well. are you just ordering an empty book or do you have to order prints with it? This A3 wall planner comes in various designs you can pick from all for free. All you have to pay for is the £2.99 delivery Shared Via The HUKD App For Android. If your on the actual website and you scroll to the bottom of the homepage, you can check delivery pricing and it informs you of all the individual delivery prices for each item. Hope that helps. It will only gives me an option for 4.99 delivery?